On Wednesday 12/20/17, the House of Representatives gave the final approval for a huge tax reform by President Trump. Among many other changes, it gives most Americans a tax cut beginning in 2018 ( approximately 80% of the US population) and doubles the deductible many can make on their federal tax returns. This sounds like a win for everyone, but many are calling it a scam, benefitting only the wealthy, as some new perks will only be temporary, with changes to be made at specified points in the future. Originally the tax reform was to reduce the limit on the mortgage interest deduction (MID) amount from $1,000,000 to $500,000; however, the new tax code reduces the limit on deductible mortgage debt to $750,000 for new loans taken out after 12/14/17, while current loans up to $1 million are grandfathered in. If we assume a 20% downpayment, the reduction in the MID only affects people purchasing homes between 900,000 and 1,2000,000 since those homes sold for under the former are still eligible and those sold for above the latter were not eligible under the past tax code anyway. Seasoned Real Estate Agents disagree about the possible impact on the Real Estate market. While some studies have shown that the MID might not be a good tax policy, it has historically been good for the real estate market because the opportunity for home ownership has always been coupled with it. The National Association of Realtors (NAR) fears that housing prices could fall by at least ten percent in every state. Others say only taxpayers in high-tax states could be negatively impaired. Unfortunately, Virginia is on the list of states which could experience a significant dip. The proposed change in the tax law was to covert the rule that owners who have lived in their house for at least 2 years out of the last 5 pay nothing in capital gain taxes when they sell the house, to a new law of “five of eight” — also limiting the use of the exclusion to one sale every 5 years instead of one sale every 2. There was, however, no change made to this tax law, and thus there will be no impact on the Real Estate market in Virginia or otherwise. The total effect of the recent tax reform on the entire US will be minimal. It remains true that some higher priced and higher taxed regions will be affected more than others; however, there are other parts of the tax code that give an advantage to Buyers and Sellers of Luxury Homes, so it should all balance out. Individuals need to see their own financial planners or accountants in order to discern what parts of the new tax code could affect them, but many people just consider Home Ownership as part of their lifetime Bucket List or the next step in their Life Goals, so tax advantages are not a significant factor in their decisions about Buying and Selling anyway. This will always hold true. 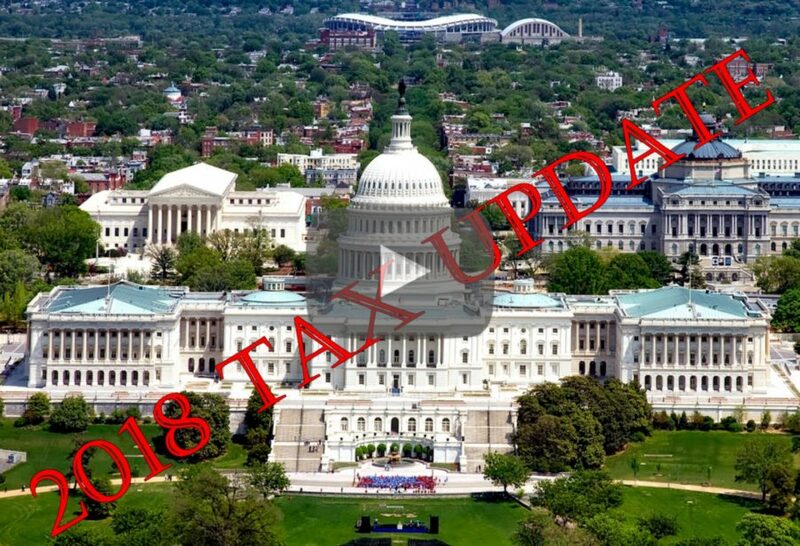 Disclaimer: This page is not meant to replace tax advice from a professional tax adviser but instead as a source for basic information concerning the aspects of the new tax law and how it may impact home owners, sellers and buyers through the Virginia metro areas including but not limited to Alexandria, Arlington, Fairfax, Falls Church and Prince William. Our views herein provide broad guidance to the industry. Therefore, you should get tax advice from your accountant or other tax professional. This page may be revised as the analysis of the bill or changes to it evolve. As additional clarification of the new code and additional analysis becomes available, we will update this page.